I didn’t get what I wanted most: to see Mt. Fuji again. I thought the day would be perfect for it, a little cold and crisp. The clouds came in when I was most likely to see it. I’ll have another chance on the train when I leave Kyoto on my last day. 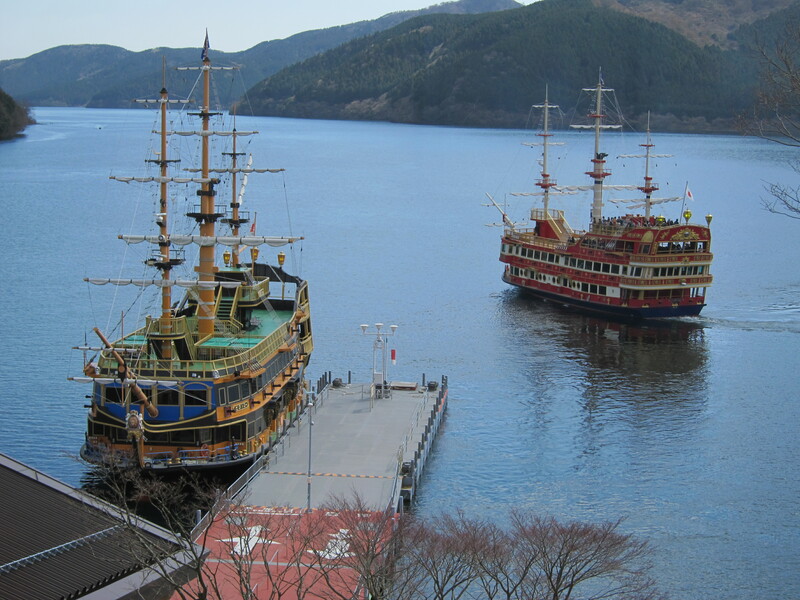 Hakone is a national park and some of it reminds me of Pigeon Forge outside of the Great Smoky Mountains. Nature is never enough; there has to be something for the kids. The best thing, for me and the kids, was the Open Air Art Museum: lots of good art and lots of places for kids to play, right on some of the sculptures. It is very well done. There is an entire building devoted to Picasso; so many works I had the feeling he created enough stuff to give one to everyone who wants one. Of course, it doesn’t work that way, but wouldn’t it be fun. 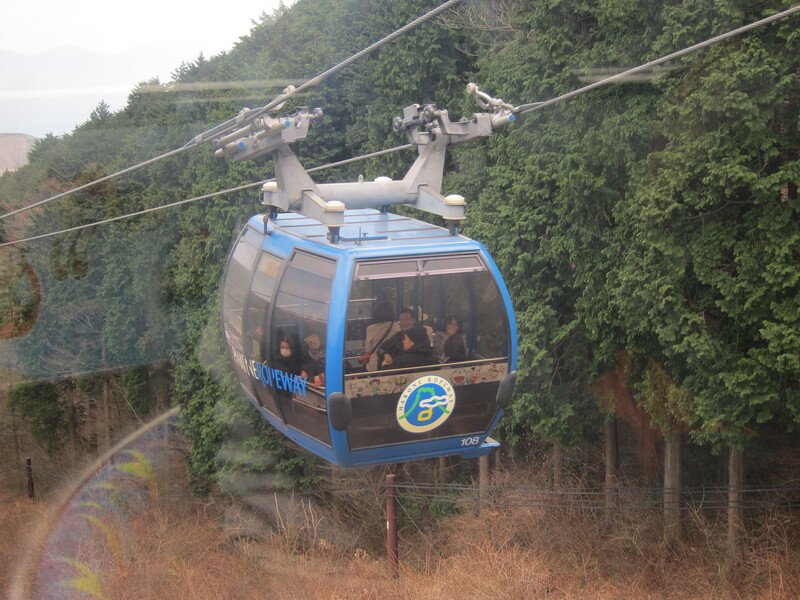 I took a funky train to get to the park, a bus from the Open Air Museum, a cable car, a ropeway, a boat then another bus and back to the train. 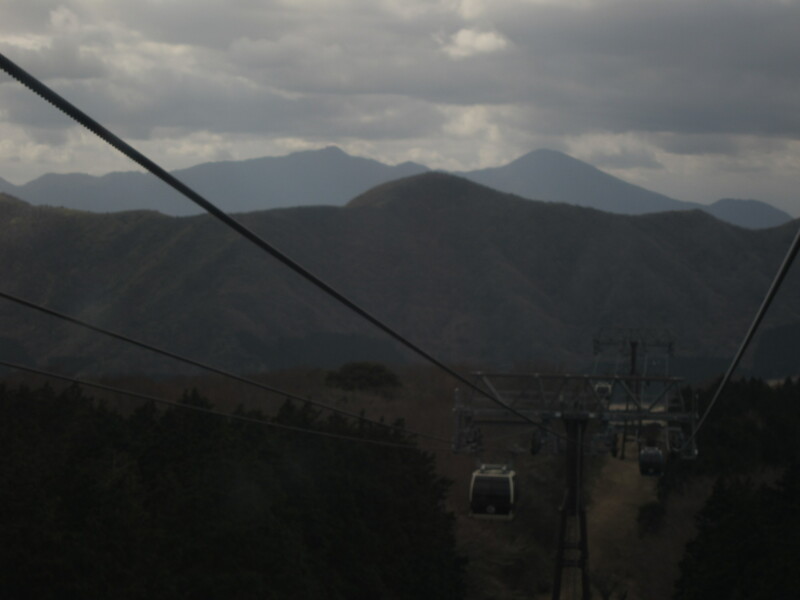 I like the ropeway best. I caved tonight: I am not sitting on the floor. I put two of those pillows on this very sturdy table and that’s where I am sitting, not too comfortably but it’s easy to get up. I’ll have to get back on the floor to sleep, but maybe I won’t have to get up too often. Long train ride tomorrow: five hours to Okayama. I’ll try to get lots more writing done. 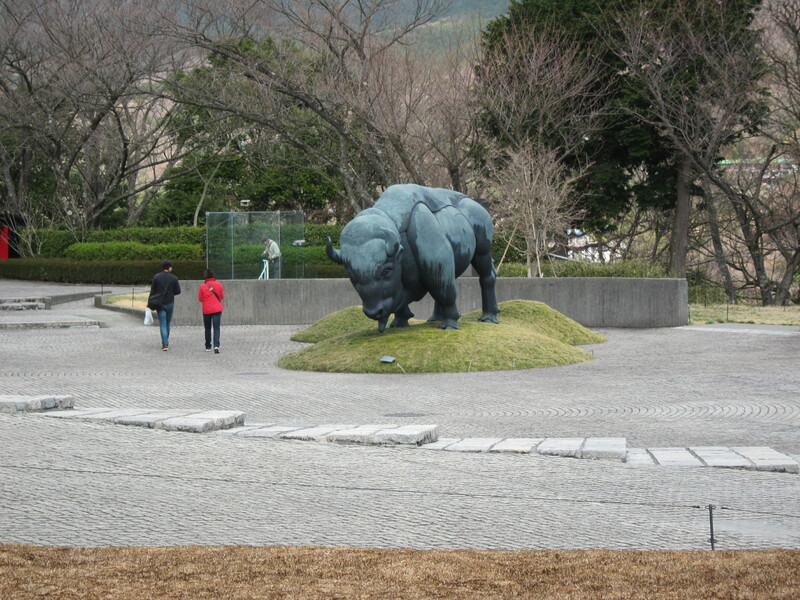 This entry was posted in Art, Japan, Walking by ruthek. Bookmark the permalink. I’m smiling but still hoping you are getting enough to eat. 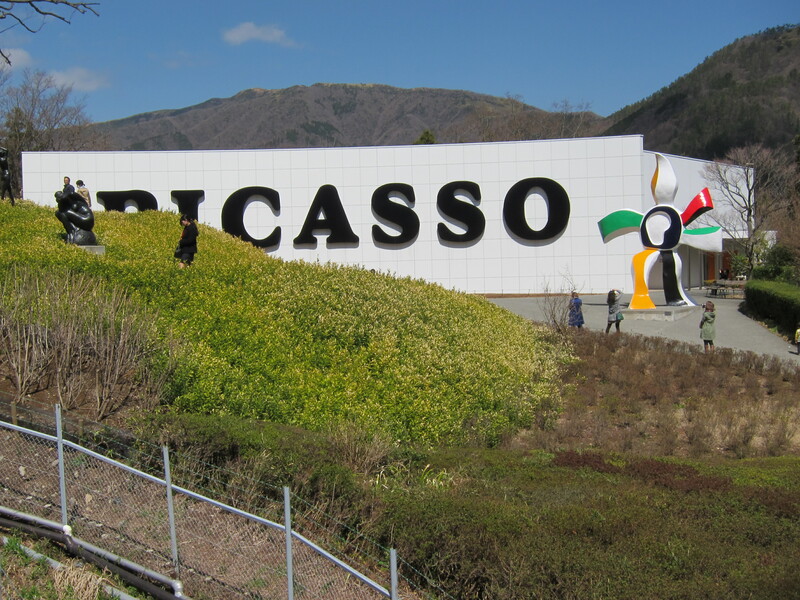 What an odd place for a Picasso museum…I wouldn’t have thought of it there. Love the photos tho. What are those boats. More unexpectedness. 🙂 Amazing what you are doing without the language. I love it. I’m having fun! Oh wait, that’s you that’s having fun. I’m sitting here grinning. Hmmph, I feel like I’m there.